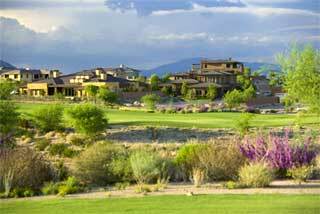 Saybrook homes in Rhodes Ranch Las Vegas master plan opened during Memorial Day weekend. Rhodes Ranch real estate is located in the southwestern golf course community by Rhodes Homes. New homes for sale at Saybrook neighborhood is in located in one of the most requested master plans in Las Vegas, Nevada. Antelope homes in North Las Vegas real estate by Lennar offers four new home designs located in the north valley. Two story homes in Las Vegas, Nevada at Antelope are located on cul de sacs, with enclosed back yards, irrigations systems and landscaped front yards. The open floor plans are designed around a great living room space with many windows. Verge Las Vegas condos in Downtown Las Vegas, Nevada real estate is taking reservations with a $2,000 deposit for a limited time only. There will be loft residences, and 30,000 square feet of mixed use retail space in the development. The project says that their design is patent pending giving buyers an exceptional value with an incredible lifestyle. Home buyers will select a wide array of finishes with the help of an interior designer to personalize their living space. $1.65 million, Red Rock Country Club Real Estate, 5 bedrooms, 5.5 baths, 4,725 square feet, golf, city, mountain and water views. $1.01 million, Summerlin Luxury Home, 4,259 square feet, 4 bedrooms, 3.5 baths, courtyard, Venetian plaster, island kitchen, pool and spa.